The Milvian (or Mulvian) Bridge (Italian: Ponte Molle or Ponte Milvio, Latin: Pons Milvius or Pons Mulvius) is a bridge over the Tiber in northern Rome, Italy. 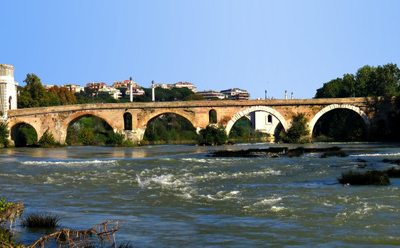 It was an economically and strategically important bridge in the era of the Roman Empire and was the site of the famous Battle of Milvian Bridge. In 2000s, the bridge began attracting couples, who use a lamppost on the bridge to attach love padlocks as a token of love. 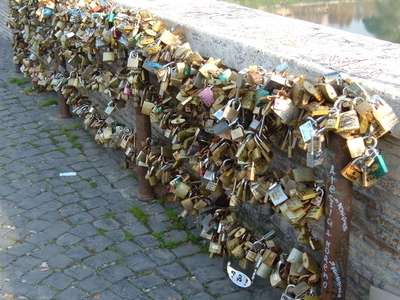 The ritual involves the couple locking the padlock to the lamppost, then throwing the key behind them into the Tiber. The ritual was invented by author Federico Moccia for his popular book and movie "I Want You". Here's the our members favorite photos of "Bridges in Rome". 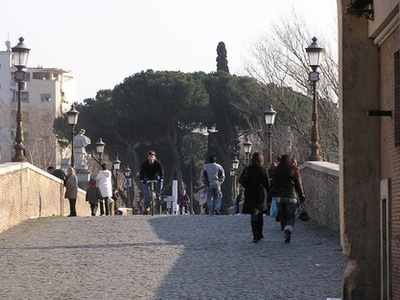 Upload your photo of Ponte Milvio!